Сегодня в Интернете появился полный список трофеев Red Dead Redemption 2 для PlayStation 4. Согласно утечке, в игре предусмотрено 52 приза (1 платиновый, 3 золотых, 4 серебряных и 44 бронзовых), в том числе 17 — для многопользовательского режима Red Dead Online, который станет доступен игрокам не раньше ноября. Ниже мы приводим весь перечень наград, включая тип, название и описание каждого из трофеев. Во избежание сюжетных спойлеров секретные «ачивки» дополнительно скрыты, для их просмотра требуется навести курсор мыши поверх нужной строчки либо выделить скрытый текст. Back in the Mud — Complete Chapter 1. Just a Scratch — Complete ‘Enter, Pursued by a Memory’. To Greener Pastures — Complete Chapter 2. Settling Feuds — Complete Chapter 3. Washed Ashore — Complete Chapter 4. No Traitors — Complete Chapter 5. Third Time Lucky — Complete ‘Goodbye, Dear Friend’. Redemption — Complete ‘Red Dead Redemption’. Cowboy Builder — Complete ‘A New Jerusalem’. Endless Summer — Complete the Epilogue. Lending a Hand — Complete all optional Honor story missions. Best in the West — Attain 100% completion. Gold Rush — Earn 70 Gold Medals in Story missions. Friends With Benefits — Complete a Companion Activity in each camp. Hobby Horse — Play all mini games. Breaking and Entering — Recover the stash from 4 homesteads. Artificial Intelligence — Discover the fate of Marko Dragic. Take From the Rich — Rob or loot $250. Give to the Poor — Donate $250 to the gang tithing box. Pony Up — Spend $5000 across all shops. Extreme Personality — Reach maximum or minimum Honor level. Western Stranger — Complete 10 Stranger mission strands. Bountiful — Survive 3 days holding a bounty of $250 in all states. Collector’s Item — Complete one of the Collectable strands. Paying Respects — Find the graves of each of your fallen companions. Errand Boy — Deliver 5 camp companion item requests. It’s Art — Find a permanent home for the squirrel statue. Self Sufficient — Craft 30 unique items in Story Mode. Skin Deep — Skin every species of animal in Story Mode. Zoologist — Study every animal across all states in Story Mode. It was THIS Big! — Catch a fish weighing at least 16 lbs (7.3 kg). Locked and Loaded — Upgrade each available component for a single sidearm or longarm weapon. Grin and Bear it — Survive 18 bear attacks and kill the bear each time in Story Mode. Trusty Steed — Reach max bonding level with a horse. Breakout — Red Dead Online: Complete the Intro. 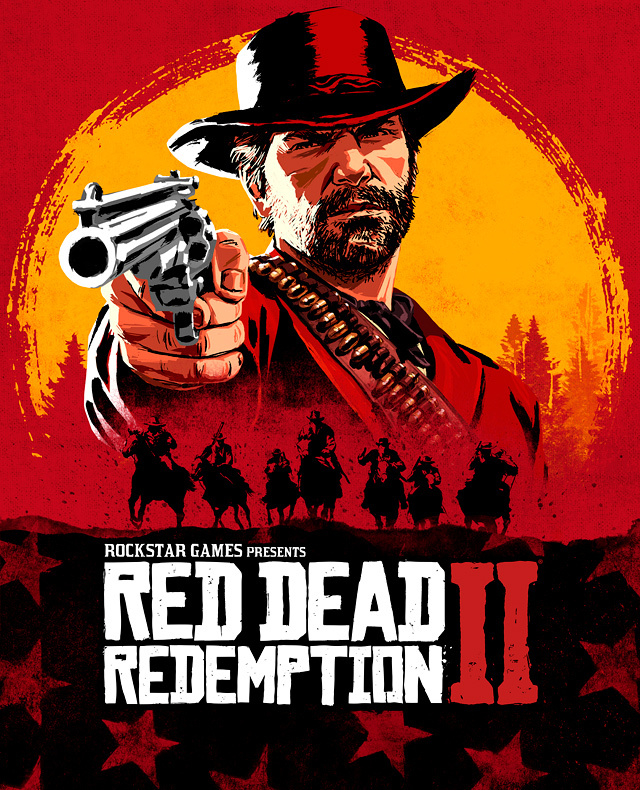 Series Major — Red Dead Online: Take part in a Series. Gun For Hire — Red Dead Online: Accept 10 Free Roam missions from characters around the world. Eventful — Red Dead Online: Play 5 Free Roam Events. Buckle Up — Red Dead Online: Achieve 5 gold belt buckles from awards. The Real Deal — Red Dead Online: Achieve MVP 3 times (in a round with at least 4 players). Horses for Courses — Red Dead Online: Concurrently own 5 horses. Getting Started — Red Dead Online: Reach Rank 10. Notorious — Red Dead Online: Reach Rank 50. All’s Fair — Red Dead Online: Successfully counter a rival Posse’s Free Roam mission. Home Comforts — Red Dead Online: Purchase 5 camp improvements. Non-Regulation — Red Dead Online: Craft 25 pieces of ammunition. Posse Up — Red Dead Online: Form a Persistent Posse. Master Craftsman — Red Dead Online: Craft 20 items (excluding ammo). Butchered — Red Dead Online: Sell 20 items to the Butcher. Picked to Perfection — Red Dead Online: Pick 25 Herbs. Strength in Numbers — Red Dead Online: Complete a Free Roam mission as part of a Posse with at least 2 members. Вчера в Сеть утёк список достижений Grand Theft Auto V для Xbox 360. Мы перенесли все ачивки в специальный раздел (доступный теперь на русском и английском языках). Предупреждаем сразу: в описаниях имеются спойлеры!